Familysearch.org website is one of the most used websites in genealogy. This is a big achievement, as I don’t see them put out big advertising campaigns like Ancestry and Findmypast. Familysearch website doesn’t have the slick lines and the shaky leaf syndrome. It also doesn’t have the price tag. It’s free and it’s straightforward. Some users see that the website is run by the Mormons (Latter Day Saints) and wonder if there are strings attached. I have not found any myself. I am just grateful to have such a resource that is free. It still interested me to know how Mormons (Latter Day Saints) started creating such as awesome log of genealogy records? And why it was so important to them? The family is an important aspect of Mormon religion. It isn’t just the family that is living that is important though. It is an eternal family of living and dead relatives that is connected. Mormons want to save the souls of their ancestors and strengthen an “eternal” family unit. In the Mormon religion, there is a belief that although ancestors have passed, they should still be given the opportunity to learn about the Mormon Gospel. After tracing a family tree, ancestors are able to do such things as be baptised by having their descendant stand in for them in the temple. 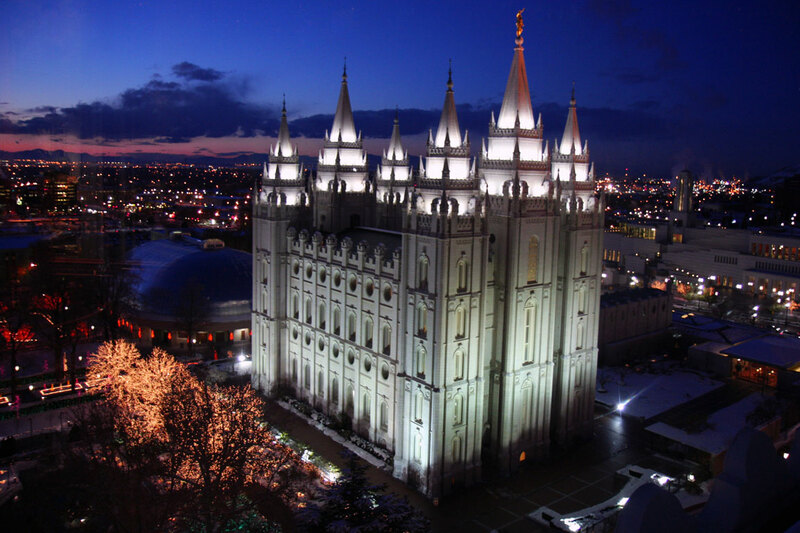 The Mormon religion started in the United States around the early 1820’s when Joseph Smith received visions that lead to the writing of the Book of Mormon. Due to this, members have had to go back overseas to their country of origins to do genealogy research and transcribe their findings. To help members, representatives where sent to transcribe records and bring them home to Utah. In the 1920’s, this information was put onto index cards and then in 1938, it was put onto microfilm. The microfilm was then made available throughout their vast international library network. The microfilms are still available today. All this collection of data goes back to Joseph Smith’s original idea of offering baptism to dead relatives. The research and regularly transcribing has amounted in amazing preservation of parish records from the 1500’s and Chinese records back to AD1. And the amount of genealogy information collected on an annual basis can fill the Library of Congress. After World War Two and the destruction of many records a vault was designed to withstand a nuclear blast. The Granite Mountain Records Vault is a climate controlled repository that holds 2 billion names and 2.4 million rolls of microfilm that has been collected by the Mormons. It is 20 miles south east of Salt Lake City and it has 14 ton doors. This not only makes sure that the records are kept safe but it also gives a central place for the ever growing pile of information that is collected. Although the originals may be sealed up in Granite Mountain the information has always been available and made accessible to everyone. The Mormons (Latter Day Saints) were revolutionary in their use of microfilm and are now forging ahead in digitization. This is again a case of the church being helped by it’s millions of members throughout the world. It is estimated that with all the manpower from members the job of digitization will take only ten years. However this is not the most ambitious plan. Mormons vision for the future is to connect all family trees. They want all branches to connect to show people that we are all connected. I like the Mormon idea of connecting all branches of family tree to each other. It would be an amazing accomplishment if they do it. I like the idea of being connected with an eternal family unit. I do think of my ancestors as making up part of who I am. However I’m not too convinced about baptizing my ancestors. I wouldn’t like my descendants trying to change me and I see that many Jewish descendants of Holocaust victims didn’t like that either. I’m grateful for what the Mormons are doing in their research. They are creating something amazing that you can only get from being passionate about your beliefs. I see that in grand cathedrals, heavenly choir music, church groups in disaster relief, and many other ways that religious organisations build something that inspires others. Making the impossible seem possible. Last updated by Nicol Warren at June 1, 2015 .
familysearch.org, genealogy, latter day saints, Mormon. Bookmark.